The first and second grade students completed with the first place winner staying on the stage to complete against the third and fourth grade students. The winner of these grades stayed to compete against the fifth and six grade students. The winner of the these grades stayed to compete against the seventh and eighth students. After all of the grades had completed, a fifth grade student was the overall winner. He will compete in February at the Regional Spelling Bee against other schools in the division. The winner of the Regional spelling bee will compete in Madison, WI for the overall state spelling bee championship. Prior to the actual spelling bee on January 14 the CWA K4 and K5 classes held their own spelling bee. Their bee started out with the students writing the sounds of the alphabet they heard. After the two classes had four students left their completion changed from sounds to words. The student that won spelled "help' correctly. Could you have spelt 'help' when you were in kindergarten? 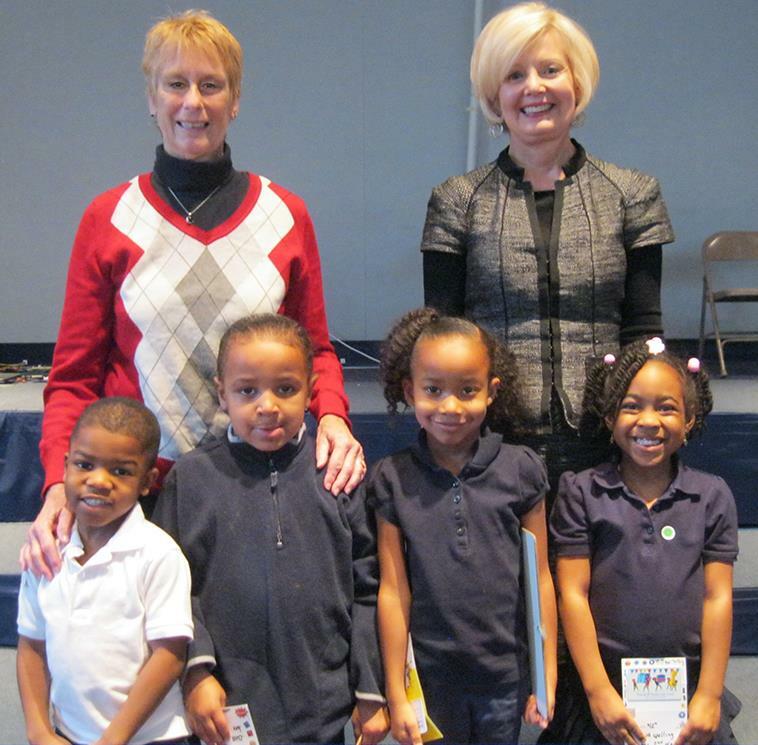 Shown in the photos with Darcy Constable and Kathy Becker are the first and second place winners of grades 1 and 2. 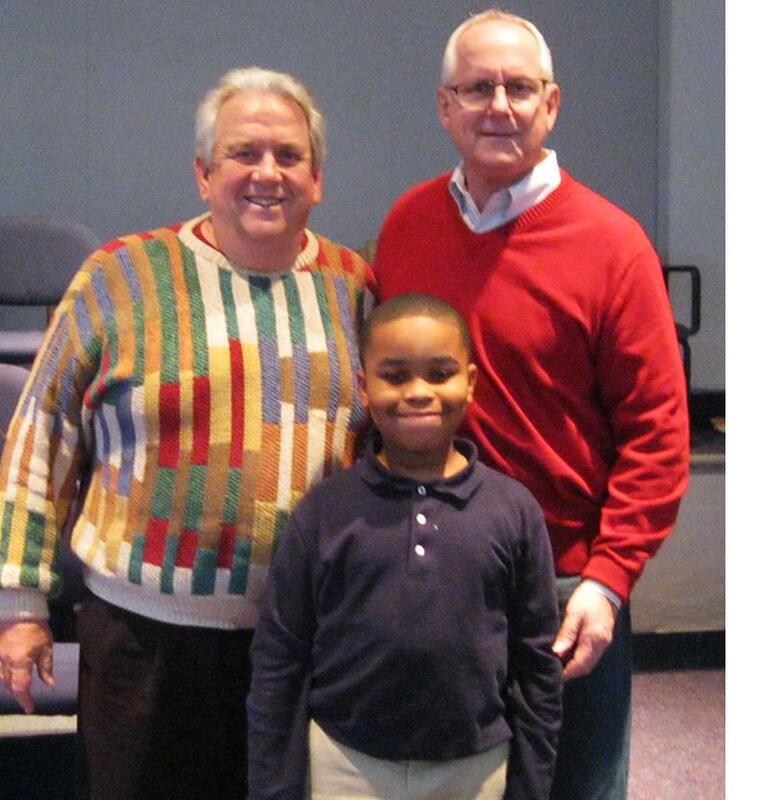 Club members Wally Smanski and Jan Constable are shown with Tyler Robey who was the overall school 2016 spelling bee champion. Thanks to the Club for continued support and those who volunteer at this years event.